This conference has become a traditional meeting for European and non-European scientists working in x-ray spectrometry or using one of its several techniques: X-ray fluorescence (conventional, micro-fluorescence, synchrotron-based and total-reflection), electron microprobe, PIXE, etc. 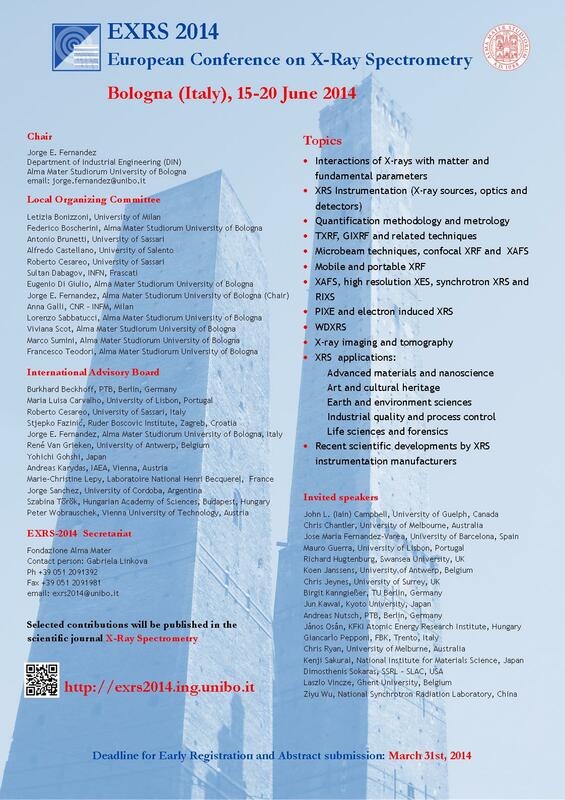 It represents an exciting discussion forum for basic research and applications of x-ray spectrometry in a rich variety of fields like materials science, chemistry (analysis of materials, quantification), radiation physics, medicine (medical physics, medical imaging), biology, environment, cultural heritage, technology and industry. 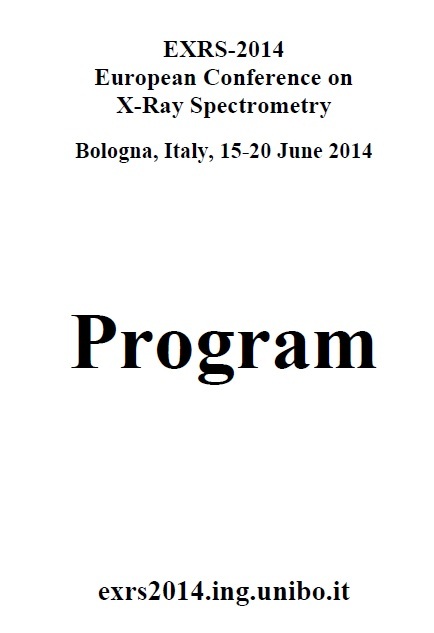 In 2014, the European Conference on X-Ray Spectrometry takes place from 15th - 20th June in Bologna, an important and lively city in Northern Italy, rich of history and cultural attractions, which is easy to reach by train, car and plane. The conference is hosted by Alma Mater Studiorum University of Bologna, founded in 1088, the first university of the western world. The conference site is Building A at "Belmeloro Complex", a modern and dedicated facility in the heart of the University district. The full address is via Belmeloro 14, Bologna, Italy. The scientific program consists of invited lectures from distinguished scientists, oral presentations, poster contributions given by the participants and industrial exhibition and presentations given by the sponsors. 12. Recent Scientific Developments by XRS Instrumentation Manufacturers (reserved to exhibitors). Selected contributions will be published in the scientific journal X-Ray Spectrometry (John Wiley & Sons). Scientists, engineers and exhibitors are invited to join the conference and share not only their ideas and current results but also their valuable experience, contributing to the enrichment of the international community. Hope to see you in Bologna.